It’s true – I really am MAD! 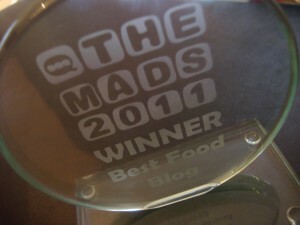 On Friday I set off to London in the glorious sunshine for the MAD Blog Awards Ceremony. I certainly wasn’t expecting to bring back an award with me but I was looking forward to catching up with blogging buddies over a few drinks and a child-free night away in a hotel. As we arrived at the Talk Talk Customer Experience Centre, all I could see were glamorous ladies (and a few gents) everywhere! I was whisked off to have my photo taken on the red carpet, grabbed a glass of wine and had a good catch up with Kat, Kelly and Carol. The fabulous Muireann Carey-Campbell was the MC for the night and somehow she managed to get the rabble of parent bloggers under control to announce the awards. Soon the time arrived for the winner of my category to be announced and I was all ready to applaud, except the strangest thing happened – the winner was me! Can you believe it? I couldn’t! In fact, I’m pretty sure I asked Sally if she’d made a mistake. What happened after this is a blur but I’m pretty sure I was shaking and I squeaked and squealed into the microphone and maybe even had my photo taken. I apologise if I was totally incoherent, I was just genuinely astounded. 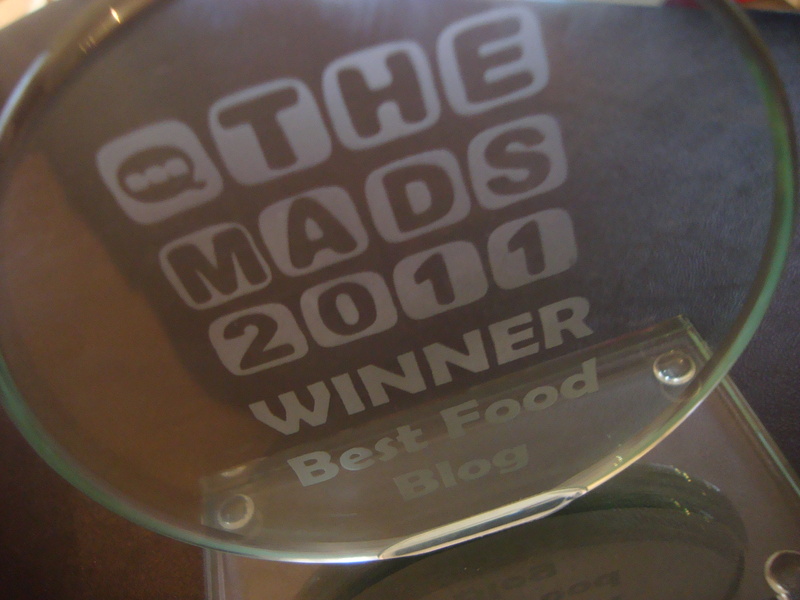 But seriously, I am totally overwhelmed and thrilled to have won the Best Food Blog Award and I want to say a huge thank you to everyone who voted for me. It is the most wonderful feeling to know that so many people enjoy reading my blog. Thanks must go to Sally and Jen who managed to organise an amazing evening. I know everyone had a brilliant time. 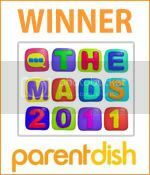 Big thanks to the main sponsors Parentdish and Talk Talk and to Morrisons who were the sponsors of the food blog category. I can’t wait to get my KitchenAid and Morrisons voucher – there will be even more cake making an appearance on the blog now! It was lovely to meet so many wonderful bloggers on Friday and a huge congratulations to everyone who made the finals – especially those who won awards. And finally, just a huge thank you to everyone who reads my blog, takes the time to comment and who voted for me. You guys rock! Wow – congratulations Amy, that is so exciting!!!! !